Elligibility is due now – please forward to Alison Brewer-Wood and me. I only need swimming sent to me. Sonka Award nominees and meet entries will be due on April 17th (10 days prior to the meet.) If you have individual or relay time updates I can take those after the 17th but, no change of events. I’ve got some totally blind rookies/non-swimmers this year, and I am going to do the dryland streamlining with them to help with that skill. Also, we have had good luck the last 2 years with those “Safelanes.” So far this year, we have had enough boppers to guard against injury at both ends during practices, but we still have the Safelanes available for the times we will need them. If you have questions – ask! If you have input – share! Rules: The NF rule book is available for download at www.nfhs.org/ebooks code: SWRB18. Tapper that belongs Paralympian Tharon Drake. It is almost 10 feet tall. A variety of tappers of much short length and style to that of Tharon’s. Double Tap Freestyle can be done as a one-arm drill or alternating with the “catch-up” drill. The intent is to promote a high elbow position and full extension of the arm out in front. The one-arm version is where to start. Beginning from a streamline kick position the swimmer takes a single arm pull under the body down to the hip, as the same side hip rolls upward and out of the way a full propulsive movement the swimmer hesitates momentarily on their opposite side while kicking. During the recovery the swimmer elevates the elbow, keeping the hand in close to their body. As the hand moves forward, they “tap” the head (1), and then “tap” (2) the outstretched opposite hand. In the one-arm scenario keep using the same hand, alternate for the catch-up drill. Here is a leg lift progression that you can add into your dryland or as part of a circuit. It begins with the athlete on their back. Single leg tuck – alternate R/L legs bringing the knee to the chest. Single (straight) leg lift – Alt R/L lifting the foot as high as possible. Bicycle legs – alternate R/L legs bringing the knee of one leg to the chest while simultaneously extending the opposite leg to full extension. Dbl tuck – bring the knees of both legs to the chest and extend simultaneously. Flutter Kick – while keeping legs straight alternate moving legs up and down approx. 10-12 inches. Giant flutter – same as Flutter kick except the legs move to 90 degrees with each uplift. Dbl leg lift – lift both legs simultaneously to 90 degrees and return to within inches of the deck. Rainbow – with both legs at 90 degrees sweep them back and forth in a “rainbow” fashion. Figure 8 rainbow – variation where the legs move in a “figure 8” fashion as they sweep side to side in a rainbow pattern. Swim Coach and Registered Dietician Nutritionist, Rachel Rubatt, MA, RDN, LD, gave a complete presentation full of information and resources back in October. Here is a link to that presentation. 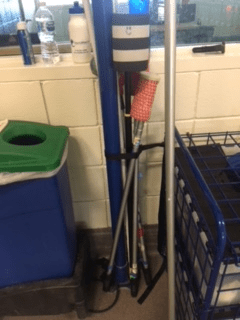 This ‘Weekly Workout’ comes from swimmer Grace Johanns from Iowa Braille School. Grace owns eight individual event conference records and one relay. I can’t think of a better athlete to highlight as the first contributor to this section of the newsletter. Grace not only shares her favorite sets and drills, but, adds her personal and candid comments. Her suggestions could easily fill a week or more of workouts. Thanks to Grace and congratulations to Coach Schellhorn and Grace’s public school and club coaches for developing such a well-rounded student-athlete. 8X75 KPS on the 1:45 or 2:00 Time can always be adjusted depending on what each swimmer can do. (Kick, Pull, Swim) Odds all free, Evens do IM Order. 25 fly kick, 25 back pull, 25 free swim then the next odd the swimmer would start with back, then breast, and end with fly. I change the order of the IM on each evens so that way I am doing KPS for all the strokes. If it’s easier to just do the evens in IMO every time that is okay too. 4X200 KPS and IM. 3:30 or 4:00 This can also be done in 4X100 as well. Sometimes my coaches make us do the 200 kick on our back in IMO and I find that to be tiring. It forces me to engage my core more, especially kicking fly on my back. Kicking breast while on my back feels interesting and is definitely more of a challenge for me. 10 minute swim then team stretching afterwards. This was my high school warm up. I typically did a 500-600 depending on the day, usually a 500. I enjoyed doing stretching as a team because it allowed for us to bond and talk to one another. It is also a good opportunity for an individual to take on a leadership position and lead the stretches. 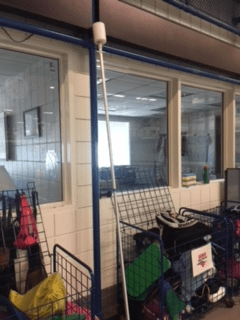 Any drills, for any stroke, snorkels, or other equipment can be used during any part of the warmup. 10×100 free on the 1:30. I am a sprinter and I dread having to swim this set because it tires me out quickly and usually I do not get a lot of rest as I will probably finish at around a 1:15 to 1:20 give or take. I think that this set builds my endurance and I can focus on sprinting and how I would swim the 100 free in a race. 10×100 alternating between free and IM. Odds IM Evens free, however, this can be interchanged. 2:00 on this set. After any workout I think a cool down is necessary, and I think it is equally as important to do a cool down swim at the end of a hard, intense workout, even if you are exhausted. I like to cool down and allow my body to relax from all the strain that I have just exhibited upon it. 50, 75, 100, 200 swimming free, long and strong. Just because it is a cool down does not mean that a swimmer should lose focus or form (I am guilty of this sometimes). If a swimmer wants to do stroke I don’t see why not, but usually everyone does free. I always do as freestyle is my main stroke. Maybe stretching afterword’s. I haven’t really done this a lot until maybe a day or so after a hard workout but I don’t think stretching afterwards would be unbeneficial. Drills that I enjoy: Here are just a few of my favorite drills! These can also be incorporated into the main set if you want to do some separate sets specifically with drills. Kicking on your side with one arm extended and the other at your side. You can alternate between sides for example 8 kicks on the right side,> pull/roll free to the left 8 kicks, pull free, rotate again. Blackline Drill- this is a drill that one of my coaches made for me in middle school. I have a tendency to keep my head too far up when I am swimming freestyle so I am getting a slight resistance and drag from the water. My goal with this drill is to look down at the black line when I am swimming and not to let the water go past my forehead or goggles. I should be looking perfectly at the black line and on top of the water. Depending on the vision of a swimmer this may not be beneficial, but it is one that I found to work well for me. In a race I always lose time on the wall. Due to my lack and absence of depth perception it is hard for me to gage my distance from the wall and find the perfect and ideal moment to flip. I always lose time and often other swimmers can catch me on my turns as they are slightly slower than theirs. I try to look at the “T” and then flip right there or take one stroke after that. I also count my strokes so that way I know how many I need to take. I hope that this was helpful and made sense! Thanks to Coach Ehresman and Athlete Grace Johanns for contributing to this newsletter. Email me at youthletics@columbus.rr.com, or text me at 740-816-1368. With your contributions or questions. Don’t forget Eligibility, entries and Sonka Award nominees are all due soon. Each edition of this newsletter along with last year’s series will be posted to the new NCASB website. If you want to add any staff members to this email list, please, let me know. best avg – best effort over entire set, Bk – Backstroke, Br – Breaststroke, build – increase speed over designated distance, C –cycle, Catch-up – overlapping stroke, dol – dolphin kick, DPK -Distance per kick, DPS -Distance per stroke, Dr –Drill, Fl- Butterfly, fltr – flutter kick, Fr-Freestyle, K –Kick, K-6’s –(K 6 times on alternate sides), R/L K-6’s (K 6 times for each arm pull remaining on same side for designated distance), P1- Pull w/ pullbouy, P2 – Pull w/ pullbouy and paddles, ri – rest interval, R/L – right/left, RP Race Pace, Sc – Sculling, Sw- Swim, LT- lactate tolerance, WU/WD warm-up/warm-down.